The online world has never been so vital to your company. An effective website not only sends your customers a message about your business and brand, it can also boost your sales. You can think of your website as being analogous to a brick and mortar store. If it’s easy to get around your website and find what they want, your customers are far more likely to stay and do business with you. It might a good idea to then check out something like this WordPress hosting – fully managed to help get your customers coming back to you. It’s not just this though that can help, but there are many other things that you can do to improve you website. So, what do customers want from your website and how can you make sure you provide it? Start with these five key areas. Straightforward and visually pleasing navigation is an absolute must for your business’s website. After all, you want to let your customers know that you can provide them with an end-product, which looks professional and gets their message across. Your website needs to do the same for you. From the moment visitors arrive at your website, it should be obvious where they need to click to get what they want. Marketing is a great tool but without the right website it’s not as effective. Which is why you should keep your website up-to-date, you could check out Boldgrid. If you’re looking for a website builder we’d recommend this platform as, Boldgrid is top rated and is a user friendly platforms. Your customers are mobile nowadays. With increasing numbers of people accessing the web on mobile devices, building a responsive website that looks good across a range of devices is paramount. If your customers access your website while they’re out and about it doesn’t display well and clearly, they’ll go to a site that does and you’ll lose the sale. Visitors on your site are looking for information. As well as providing a clear and engaging introduction to your business and what you can do for their needs, make sure any other information they might want is close at hand. From your opening hours to the exact services you offer and your pricing, everything they need to know should be accessible quickly and easily. If your customer has questions or wants to talk to you about a product or service, make sure it’s as easy as the click of a mouse. Providing an easy-to-use contact form will make it simple for your customers to reach out to you. 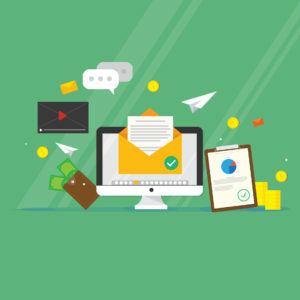 While you’re at it, if applicable for your business, make sure they can show you any pertinent files or documents by attaching them, rather than having to start a back-and-forth email exchange to get their questions answered. If you’re providing your customers with the ability to order from you online or sign up for a product or service, the process should be quick and easy with no bottlenecks or frustrations. Online ordering is a staple of many businesses these days, giving your customers an instant and convenient way to get started with you. Your online ordering needs to be responsive and easy to use. The better experience your customer has with your website, the more likely they are to think well of your business and keep coming back to you. Your website is a valuable business asset, so make it as user-friendly and intuitive as you possibly can. Struggling with your current website or looking for a refresh? Learn more or contact us with any questions! In this day and age, the web is one of the most, if not the most, common way to look up information. If you are supplying a product or service, you most likely have a website. And if your business does not have a website, there are plenty of cheap web hosting options that could help you set one up. Your website is the first impression that someone gets when learning about your business. And, although some may have a better design than others, what really matters is if your website is driving any leads. It doesn’t matter what your website looks like if there’s no way for it to drive leads to your sales team. You have to make your website interactive if you want to collect information from your viewers so that you can follow up and hopefully, make a sale. There are a few ways to do this but, online forms are where you may want to start. So what kind of forms should you be looking into? You don’t have to create a lengthy page of survey questions. Here are a few simple forms you should look at adding into your website. This may seem pretty obvious. But, you would be surprised how often a website is missing this contact form or it may be broken. Is your contact form easily seen and available? Is it mobile friendly? If someone is visiting your site and they want to get in contact with you, they should be able to. Make sure your contact form is set up and working. Yes, a blog area of readily available content is great and needed as well. But, don’t just “give away” all of your resources and content. It can be beneficial to have whitepapers, coupons, or a case study as gated material. Meaning, your website visitor must fill in some of their information to be able to download the content. It can be as simple as a name and email address! Do you have an eNewsletter? You should. 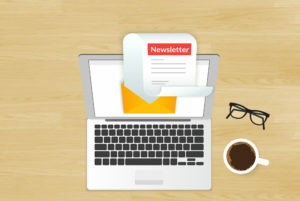 eNewsletters can be very simple and easy to create. Don’t be scared off by the idea of having to create this elaborate message every week or month for your audience. Stick to a simple design and layout and easily switch out the content. Set a monthly schedule of just sending one email every month to those that are opted-in. Simple. So how do you get people to opt-in? Have an eNewsletter sign up form visible all over your website. If your audience is enjoying the content on your site, make sure it is easy for them to sign up and they know what they are signing up for. At the end of the day, your website should be helping to drive more leads. If you are not seeing results, take the time to review how you have everything organized and step into your audience’s shoes. These three areas, if executed properly, will help drive more leads through your website. 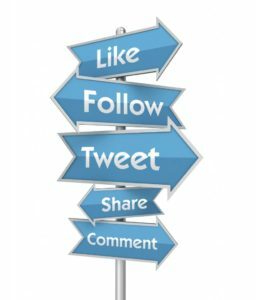 If you want to boost sales in your business, social media can help you do just that. However, there’s a knack to making sales on social media: The art of selling without selling. Customers use social media to look for information, connect with their favorite brands, and find new businesses to buy products or services from. They don’t come to read a sales spiel, meaning that sales pitches are a definite no go. So just how can you leverage social selling for your business? Get started by doing these 5 key things. It sounds like a contradiction, but selling without selling is exactly what you need to do in order to use social media to your best advantage. But what does that mean? It means offering real value to your customers and giving them reasons to connect with your business, whether to solve a problem, or for their next purchase. Use social media to give customers a reason to do business with you. As well as the value you offer them, make the most of social media to establish yourself as a thought leader. Let your customers know that you’re the best go-to source when they want help or information. Today’s customers are independent and empowered. They’re using social media to find the information they want and need. Your job as a social seller is to make sure that when they find you, they find information worth staying for. Talking to the right people is key to success with social media. Talking to the right people means your business and products will be seen by people who want to do business with you. After all, if you wanted to sell laptops you wouldn’t talk to customers who were looking for a new car. Creating customer profiles takes work and research. You can harvest information from existing customer databases, carry out market research, or utilize social listening to find out what your customers are saying. Some of your customer profile work will entail a little assumption too, but the more accurate you can be, the better. 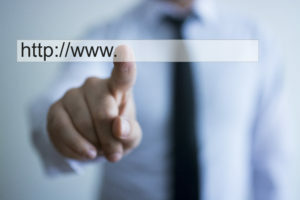 The last point, how they prefer to connect with brands online, is particularly relevant to social selling. Look at your existing customers’ behavior and any social media stats you have, and combine that knowledge with social listening to build up a complete picture. Where do they hang out? Where do they prefer to connect with brands? And when they search for businesses on social media, what are they searching for? Be sure that when they search, they find your business. You don’t have to wait for your customers to come to you. Offering value is the heart of selling without selling. When you offer value to your customers, you don’t need a sales pitch. The value you offer them will do the work for you, establishing you as a knowledgeable and helpful source of information. Whenever you create content for social media, ask yourself what value it adds to your customers’ lives. After all, they’re going to be seeing a lot of social media updates on a daily basis. If you want yours to stand out, you need to make them attention grabbing. Use your social media content to establish yourself as truly valuable. Social selling is all about connections. Customers are more likely to buy from brands that they feel a connection with. Connection fosters engagement with your business and content; engagement which can lead to sales. So how do you go about building connections? The first step, as outlined above, is meeting the right people. Find out who you want to talk to, and go where they are. When you find people you want to connect with, make yourself useful. Contribute something of value to conversations and listen to what they say. This is far more likely to recommend you to customers than going for the hard sell. Those things will lay the ground work, but it’s important that you pay close attention to the personality you show to your customers. The way they feel about your brand will determine the kind of connection they form with you. Start by thinking about the impression customers will get of you at a first glance. Evaluate everything from your website to your Twitter profile to your content. When a customer first finds you, what will they see? What kind of image are you presenting? Decide how you want customers to perceive you, and build your brand image around that. Think about how you interact with your customers on social media. Train your team to be respectful, polite and accommodating at all times. Questions or complaints should be responded to swiftly, with an emphasis on resolution. At some point in your social selling endeavors, you still need to seal the deal. It’s vital that your social selling translates to actual dollars for your business. How can you use social media to drive customers to that point without going for the hard sale? The key is to take your lead from your customers. Pay close attention to where your customer is. Are they showing signs of intent to buy? Look for soft signals, such as general discussion around products like yours, and harder signals such as specific questions about price, feedback, and other details around your or your competitors’ products. Give customers information that matches where they are in the buying cycle. Pay attention when they ask questions, and furnish them with the information they need to make a purchasing decision. Use calls to action on social media to guide customers towards buying. Encourage customers to sign up to your email or text marketing list, or get in touch with you directly for more information. Your customers are on social media. By understanding how social selling works and how to leverage it for your business, you can turn likes and shares into sales and loyal customers. #TwoMinuteTuesdays – Take two minutes out of your Tuesday mornings to digest some interesting and informative content brought to you by the interlinkONE team. Have content ideas or questions you want discussed? Tweet at us @interlinkONE! The dynamics of selling are changing thanks to social media, and that’s a good thing. Today’s customers know what they want and are willing to go out and look for it, often using social media to do so. That means you have access to a pool of customers who are looking for businesses just like yours. Social selling, the art of selling on social media, is a valuable tool that you can use to attract leads, form strong connections, and ultimately make more sales. The key to social selling is to ditch the sales pitch in favor of showing your customers how useful and relevant you are. When you demonstrate your usefulness, you attract customers who want what you are selling. It’s clear that you need to make yourself useful on social media. Here are 5 steps you can take to make sure that when your customers find you, they find unforgettable value. If you want to attract leads, you need to get really clear on why your customers should choose you. That means you need a clear understanding of the value of your products and services. It’s all too easy to express your value in terms of “this product is well made” or “this service is excellent value for money”, or even to focus on the practical points of what your product does. Of course these all matter – if your customer isn’t clear on what your product does they are unlikely to buy it – but they are just the foundation when it comes to establishing your value. What specifically does your product or service offer your customers? In what way does it solve a problem or make their live better? Keep your focus on what they want and need. What sets you apart from the competition? Why should your customers choose you over a similar business? Remember that a better price is not enough – what else do you offer? Once you understand your own value, you can better understand how that meshes with the desires of your customers, and communicate that clearly to them. The name of the game is attracting leads. Part of that is making sure that when your customers find you on social media, they immediately like what they see. Consider social media to be your online place of business. Customers wouldn’t stay in a physical location that wasn’t welcoming, with everything they want clearly posted. The same is true of your online premises. The information you include on your social media profiles creates a powerful impression of your business, so make sure it’s a good one. A customer arriving at your social pages should get an immediate feel for who you are, and how your business is relevant to them. Your customers will also expect to find regular posts from you. A page that appears active and that is educational and useful to them is more likely to entice them to stay. Last but not least, remember to tie all this together with a strong brand voice. A strong brand voice makes your business distinctive and gets your point across in a way that makes you memorable. Aim to immediately give your customers a clear sense of your brand personality, what you do, and most importantly, what you can do for them. Social media is all about conversations. By joining the right conversations and showing yourself to be a useful participant, you’ll establish yourself as valuable to your customers. That means that when it’s time to buy a product or service like yours, they’ll remember you. Talk to your followers and interact with the people who comment to you. Attract customers with useful content, and try asking some questions to learn more about them and their needs. Joining conversations starts on your own profiles, but it doesn’t end there. Try searching for mentions of your brand on social media. If you find a conversation about you, be willing to join in. Perhaps you’ll be able to answer a question, resolve a problem, or simply thank a customer for their time and the good things they said about you. 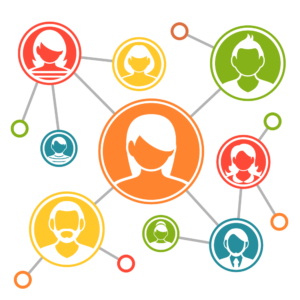 You can make finding customers outside your network easier with GrowSocially App; manage mentions of your brand, competitors, relevant keywords, and social profile’s to find the people you most need to talk to. Making a valuable contribution to conversations raises awareness of your business, as well as showing your knowledge, expertise, and brand personality. The best kind of content will vary depending on your goal. No matter what kind of content you choose, make it count. That means every piece of content should be tailored to your social media audience, and worth their attention. If your customers love seeing your content, they’re more likely to stick around and engage with your brand. Your content can show your value in many ways. You can solve a problem, answer a question, entertain your customers, give them information that they can apply in their lives, show them how to do something, make them laugh, make them think, demonstrate your products or let them know something about your business. Your customers expect quick and helpful responses when they connect on social media. Whether they comment to a post, mention you in their own posts, or take it off social media and email you, they’re looking for acknowledgement and a satisfactory response. By replying to customers in a timely manner, you let them know that they matter to you. Be graceful when responding to both complaints and compliments. If a customer has a complaint, go out of your way to solve it, accepting responsibility and fixing the problem as soon as you can. If they have a compliment, thank them for it – engaged and happy customers make wonderful brand ambassadors. Part of the joy of social media is the chance to really engage with your customers. Building up a good rapport and demonstrating excellent customer service promotes a favorable view of your brand. If customers like you and like how you deal with them, they’re more likely to come back for more. Good customer service extends to new customers too. New customers don’t know your brand well yet, so make sure the impression they get is a good one. Treat every person who approaches your brand with respect and show willingness to help, and you’ll build a positive reputation that precedes you. 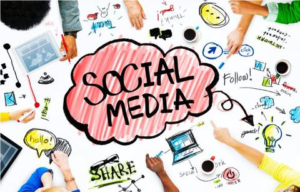 Social media provides a wealth of opportunities to connect with customers. If you want to attract leads on social media, make yourself useful and give them a reason to do business with you. Social selling relies on connections, so how do you make sure you’re connecting with the right people? Talking to the wrong people can mean wasted time and much fewer leads. 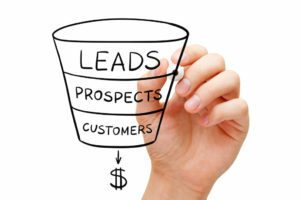 The trick is to qualify your leads before you even talk to them, but how can you do that? To talk to the right people, you need to know who the right people are. That’s where customer profiles or personas can help you. By building up customer profiles, you know who you’re looking to connect with before you even start. Armed with this information, you can go about finding your ideal customers, and reaching out to them in a way that speaks their language and directly addresses their needs. Customer profiles also help you segment your prospects so you can tailor your social selling to each specific group, rather than using a catch-all approach. A tailored approach is much more likely to bring you the results you want. Customer profiles get you into the mindset of your prospects so you can see your business through their eyes, and better understand how to present it in an appealing way. Your customers are the best people to tell you what they need and whether you can provide it. Listen carefully to what they’re saying on social media. What do they talk about, ask or complain about? What are they looking for? The deeper your understanding of your customers, the more accurately you can determine how likely they are to do business with you. Pay attention to their intentions too; the way you approach a prospect who is looking for information will be different from how you approach a prospect who is showing signs of being ready to buy. Always research your leads before approaching them. With a group of prospects, that means understanding their needs, motivations, and place in the buying cycle, as outlined above. When it comes to individual contacts, make sure you know who they are and what they do. What makes them a good lead for you? Do they have the kind of purchasing power you need them to have? If they’re a business contact, what is their position in their company, and what power do they have to make or sway decisions? Having a good grasp on who your leads are and what makes them qualified before you start will increase your chances of focusing your efforts on the right people, and converting leads into sales. Numbers and prices are obviously a big part of any sale. But, that should come after a relationship has been formed. If a prospect is asking about the price and costs of everything right off the bat that most likely means they are already leaning on a different product or service, or are not interested in learning about what might actually be best suited for their needs. They want a quick solution that won’t break the bank and are not ready to take the time to find the right one. At the end of the day, it is a decision maker that will close the deal with you. While communicating with a prospect, ask yourself if this person can actually make the decision. Do they know everyone that is involved? Can they tell you what they see for the future, after this deal is made? Are they openly communicating with you or relaying messages to someone else in their company? Make sure the prospect can give you an end date or period of time where they would like to start utilizing your product or service. If it is too open-ended or they appear to be dragging their feet they will most likely not close a deal any time soon. The last thing you want is emails or phone calls going back and forth for months on end with no positive end result. Do They Understand What They Want? When forming the relationship with a prospect, part of it is the understanding what exactly they are looking for. Can this person, in detail, express the needs of his or her company? Talk is cheap when it is broad and unhelpful. To best fit their needs and yours, you need to know what exactly they are looking for. You know your product or service is of value, but do they? Sometimes a prospect might not see the true value that your product or service will bring to them. If they need constant reminders and convincing then just maybe it is not the right fit for them. If they fail to see the value, then there most likely is no value in continuing to sell to them. One of the easiest signs to a sale going nowhere is a lack of communication. If they are simply ignoring all of your emails or phone calls, or there are large gaps of time between responses then odds are they are uninterested. In selling, persistence is key. But, after a certain point, the time spent attempting to communicate with an uninterested prospect, is better served building a relationship with someone else. Communication is a two-way street. At first, you want to listen and research as much as possible to make sure you understand their needs. But, when it comes time to demonstrate and explain your product and service, what is their response? Are they asking questions and clarifying details? Do they seem engaged? Or are they simply nodding their head and going along with whatever you say? If it is the latter, interest in your particular product or service is probably low. By asking questions and having a dialogue, the prospect is truly deciding if it is right for them. If they stop asking questions or agree with whatever you are saying, then they are most likely already thinking about a competitor and have become dispassionate. Now, if you are witnessing some of these signs, it may be time to walk away. But, that does not mean cut off all future communication. Times change and down the line, they may in fact be in need of your actual product or service. Keep the relationship you have built whether small or strong and follow up once again down the road to gauge if things have changed. In the meantime, do not waste your time falling into the black hole of prospect chasing. Stay on top of solid leads and don’t waste time with those who are not serious about doing business. The results are in – social media is an effective selling tool that you can’t afford to overlook. As a business person, your time is precious, so naturally, you want to spend it on activities that are ultimately going to improve your bottom line. Social selling might not be at the top of your list, but here’s the truth – social selling works and the stats back that up. Let’s take a look at why you should care about social selling in your business. There’s no doubt about it, the use of social media can boost sales for businesses. In fact, Brainy Marketer found that 79% of salespeople who use social media outsell their peers. The takeaway from this statistic is relevant no matter what your business: Using social media helps you sell more. One of the key reasons social media is so effective at boosting sales is its potential to help you find the right customers for your business. By using social prospecting, you can identify the best prospects for you. These are the people who are most likely to be interested in your business, and in purchasing from you. Social media helps you target the right people. Your use of social media can directly influence whether or not you make that sale. Statistics from Social Media Today show that 78% of people say a companies’ social media posts influence their purchasing decisions. Why is that? Well, social media gives you an unmatched opportunity to forge a really good connection with your customers. That means you can connect with them in a meaningful way that fosters goodwill towards your business and encourages purchasing. You can use social media to learn who is out there and what they need from your business, so you can craft content that speaks directly to them. By targeting your content in this way, it increases your chances of making a sale. Customers use social media to find businesses they like, and to find new businesses to fulfill their needs. You can also use social media to find your ideal customers and reach out to them, making it an ideal meeting place for your business and your best prospects. Statistics show that 71% of consumers are more likely to make a purchase based on social media referrals. Selling on social media gets your business name known, but there’s more to it than that. Your customers will use social media to talk about you, and if they’re saying good things, people who are searching for a business like yours will take notice. You can use social media to build good relationships with existing and potential customers. Strong relationships drive sales, while satisfied customers can become brand ambassadors, encouraging others to do business with you. The bottom line is this: Social media as a selling tool is becoming more effective. Social Media Examiner found that in 2014, total social commerce sales that could be tracked to social networks were up 26% from the previous year. Social media boosts sales, influences buyers, and gives you a way to find and connect with the best leads for your business. Are you looking for a solution to help you manage your social media presence and target prospects and customers in real-time with relevant, useful content, to help you make sales? GrowSocially App is for you. Check it out today!